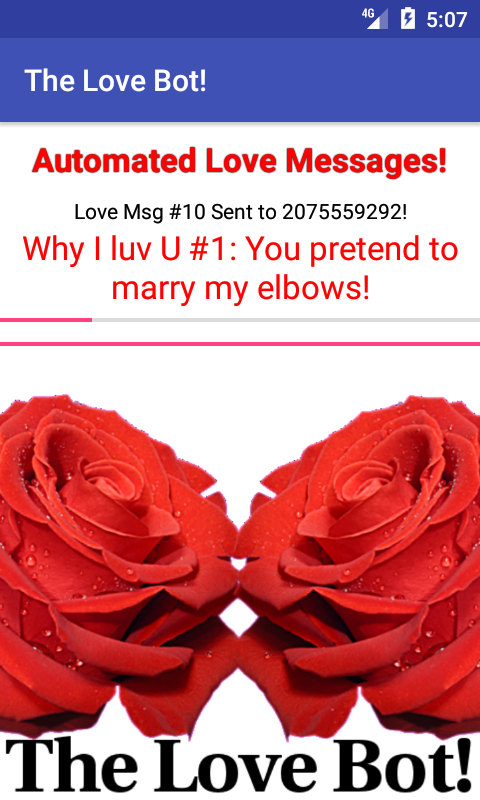 This app sends automated randomized love messages by SMS to your special someone! Each SMS text message is one "Reason Why I Love You" created from random words and phrases! Both hilarious and endearing expressions of love. 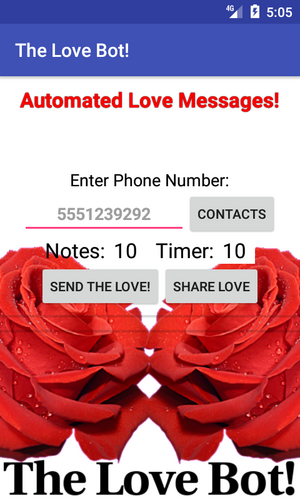 Includes a convenient message timer! Simply select a contact from your android phone and boom! If you can't donate, please consider sharing this link with a friend or on your favorite social network such as Reddit! UPDATED! v1.1 Fixes icon issue minor. Website updated so share button works perfect too! UPDATED! v1.2 Ported project to Android Studio, fixed minor errors and redesigned image backgrounds.